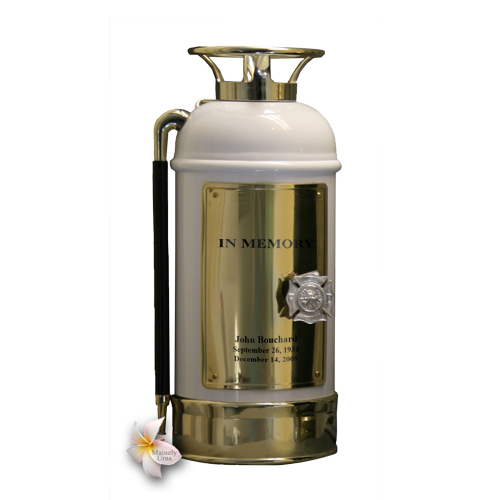 This White Fire Extinguisher Firefighter Cremation Urn is a beautifully polished replica of a fire extinguisher. 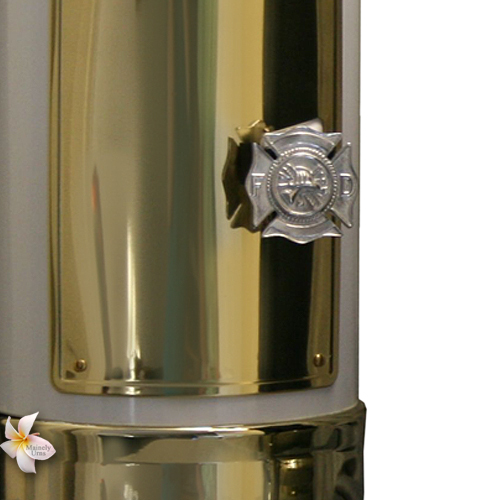 This urn can be personalized and it also has a badge holder in the front to hold and support the firefighter's badge. 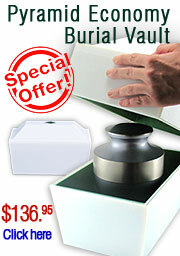 For an alternate use, the urn can hold small keepsakes. Badge in photo is shown for display purposes only. 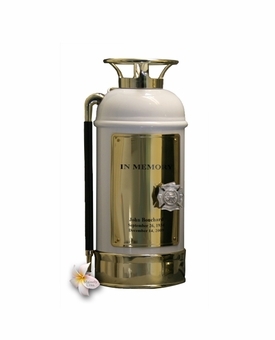 This urn comes with an engraving option. The ideal engraving includes one line of text above the badge holder and three lines of text below the badge holder. 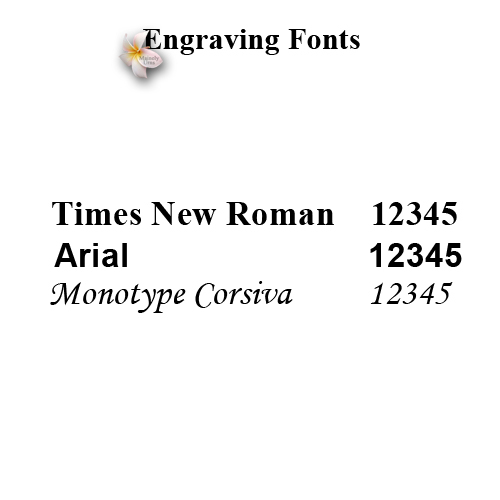 Each line can hold up to 25 characters - including spaces.